We need to raise funds for Leif’s vertebrae surgery and for our rescue efforts. 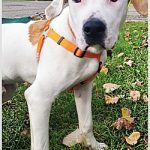 This surgery is needed is absolutely needed for Leif to live a pain-free life, and can only be done with additional donations to Home FurEver. ﻿﻿ Leif’s diagnosis from an MRI shows dorsal to dorsal lateral bilaterally smoothly marginated regions of moderate to severe spinal cord compression at level T3-T6 causing dorsal and lateral to circumferential spinal cord compression. These findings are most consistent with spinal cord compression secondary to bony spinal malformation (hemivertebra). We cannot afford this surgery due to the number vet bills incurred over this past year for veterinary care of our dogs and puppies. 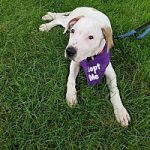 Home FurEver is in need of funds not only for Leif’s surgery, but to pay our outstanding vet bills and the continued emergency care for all of the dogs and puppies in our care. 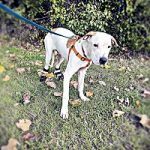 In the past year, Home FurEver has seen a decline in volunteers and donations, which has decreased the funds available to pay the essential medical bills incurred. Home FurEver is one of the oldest rescues in Detroit. In order for us to take care of dogs in need, we need your monetary help. We cannot keep our doors open without your help. Recently, Home FurEver has lost its 501c3 designation due to an accounting issue. We are close to reinstatement, however, at this time donations are not tax deductible. 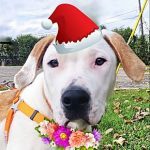 In this charitable season, we hope that you will support us in our efforts to help the forgotten dogs of Detroit. Home FurEver has helped thousands of dogs since its inception, and we hope to help many more in the decades to come, but we can only do so with your help.